I wanted a safety check, brakes, steering, etc. Joe clearly explained what they found, what they would do, when my vehicle would be ready, and the expected cost. No surprises! Thank you Certified Auto! From the outside, an unleaded fuel powered engine and one driven by diesel fuel look pretty similar. The fact is that they operate on fairly similar processes. Similar doesn’t mean identical, however. Diesel engines utilize a different combustion method than their gas counterparts. There are no spark plugs, which means no electrical dependent ignition processes. The components for diesel engines are manufactured with more strength, as well. This added strength allows for higher compression pressure which is needed to initiate combustion with diesel. Along with many other variable differences from gas to diesel, the major differences highlighted here are the reason not just any mechanic will do. You want someone to work on your diesel car, truck, van or SUV who knows what they are doing. While they typically can last longer than gas engines, they are eventually going to need professional service of some kind. When the time comes for your next diesel service, there is no substitute for someone who has real world, working experience with diesel engines. You don’t want to have yours fixed incorrectly the first time. So bring it to our team of diesel experts. We have a team of diesel experts who have years of experience in the industry. 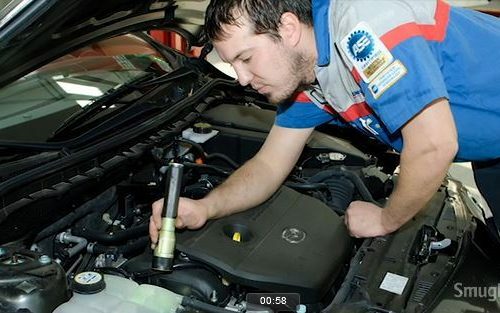 Every technician at Certified Auto Repair is ASE Certified. Whether it’s a major repair or regularly scheduled maintenance, we have you covered. Let our customer-first approach prove to you why we are the best option for your diesel vehicle.